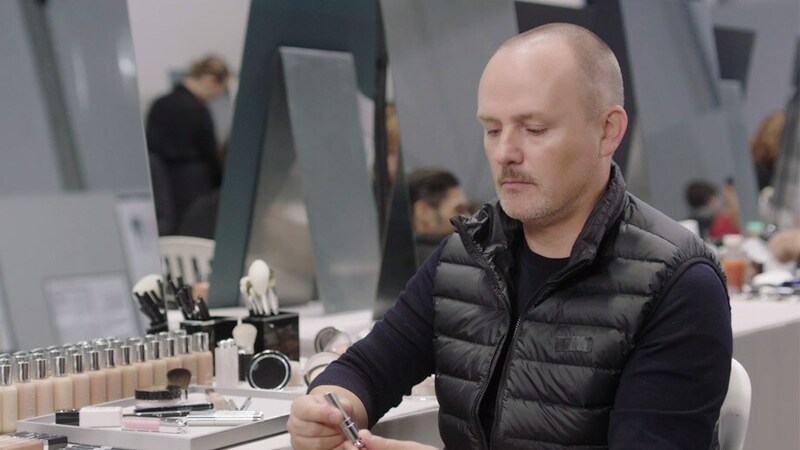 For the 2019 spring-summer ready-to-wear collection, Peter Philips, creative and image director for Dior makeup, created a natural makeup look to highlight the eyes. "For this collection, Maria Grazia Chiuri asked israeli artist Sharon Eyal to choreograph her show with dancers from her troupe. It was an esthetic choice that incited me to create pure and natural makeup that puts the focus solely on the eyes. For a handful of models, i also drew inspiration from the special way that Sharon Eyal wears her eye makeup."